The start of operation is planned for June 2020. Crecia-Kasuga Co., Ltd., a joint venture for tissue paper products established by Nippon Paper Crecia Co., Ltd., a Nippon Paper Group company, and Kasuga Paper Industry Co., Ltd. will install the no.2 paper machine following the no.1 paper machine, which commenced operation in May 2018. 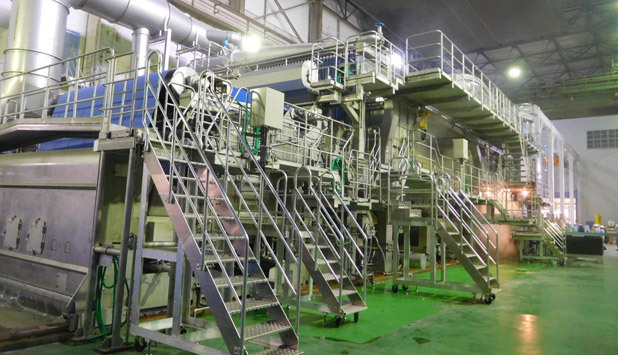 The no.2 paper machine will be installed next to the first paper machine in the premises of Fuji Mill of Nippon Paper Industries Co., Ltd. Like the no.1 paper machine, it makes effective use of the assets of the Mill, such as utilities. Its annual production capacity is approximately 40,000 tons. It will mainly produce long roll toilet tissue, for which demand has been increasing in recent years.